Orlando International Airport is your gateway to the home of Walt Disney World and NASA Kennedy Space Centre. Orlando International Airport is the second-busiest airport in the state of Florida and the 14th busiest in the United States. The airport is known for its wide selection of art installations and exhibitions. Orlando International Airport (IATA code: MCO) is a key airport for domestic and international departures and the hub airport for Silver Airways. Flights to Orlando International Airport are provided by international airlines such as Delta Air Lines, Lufthansa, and Air France. MCO is a 20-minute drive or 45-minute train ride from downtown Orlando. Book your cheap flights to and from Orlando International Airport online! Before it gained international status and was renamed Orlando International Airport, the airport was known as the McCoy (MCO) Air Force Base and was owned by the US Air Force. Today, Orlando International Airport is a major hub for domestic departures to cities across the United States and international departures to destinations in Canada, South America, and Europe. The airport offers four runways, four airside concourses that are connected to the main terminal building by people movers, and about 70 different shops and eateries. In 2002, Newsweek named Orlando International Airport the "top U.S. airport for just hanging around". The bars, artisanal eateries, and restaurants at Orlando International Airport offer a tasty utopia for food lovers and hungry travellers. Options range from fast chains such as McDonald’s and Burger King to gourmet coffee bars, ice-cream parlours, and homestyle cuisine. Shops at Orlando International Airport include: books and magazines, gifts, souvenirs, perfume, cosmetics, jewellery, accessories, toys, electronics, gadgets, fashion, alcohol, tobacco, travel essentials, surf gear, and luggage. Services at Orlando International Airport include: car hire, foreign exchange, special assistance, medical, information desk, traveller’s aid, shoeshine, and postal services. Duty-free shopping at Orlando International Airport can be found in the West Hall of the main terminal and in Terminal 1 and 4 (airside). Please take note of baggage restrictions and duty-free allowances at your destination. Orlando International Airport departures area has four lounges: Club at MCO in Terminal A, Club at MCO in Terminal B, Delta Sky Club in the central atrium, and United Club in Terminal B. The facilities at Orlando International Airport include: Wi-Fi, spa/salon, business centre, animal relief area, payphones, disabled facilities, art exhibitions, ATMs, chapel, luggage lockers, games arcade, mobile charging stations, observation area, showers, smoking areas, and rest zones. This 2-star hotel is a 7-minute drive or 20-minute train ride from Orlando International Airport. Some of its amenities include a swimming pool, free airport shuttle bus, conference centre, laundry service, ATM/banking services, and a computer station. Complimentary breakfast, parking, and Wi-Fi are included. This 3-star suburban hotel is a 5-minute drive, or 25-minute train ride from Orlando International Airport, making it ideal for business trips and short stays. Amenities include a fitness centre, room service, swimming pool, airport shuttle bus, business centre, housekeeping, and a car service. Complimentary Wi-Fi, parking, and breakfast are included. This superb 4-star hotel is ideally situated inside the main terminal at Orlando International Airport. Amenities include a swimming pool, two restaurants, fitness centre, valet parking, limo/town car service, in-room childcare, housekeeping, and 24-hour front desk. Free Wi-Fi is available throughout the hotel. Foreign exchange can be purchased at a foreign exchange outlet up to 60 days before departure from South Africa or at the airport upon arrival. Currency exchange booths are situated in the arrivals and departures areas, and on level 3 at Orlando International Airport. Orlando International Airport offers drop-and-go zones, as well as covered and uncovered short and long-term parking. Valet parking and dedicated parking spaces for disabled travellers is also available. Payments can be made by cash or debit/credit card. Orlando International Airport is situated approximately 14 km southeast of downtown Orlando. 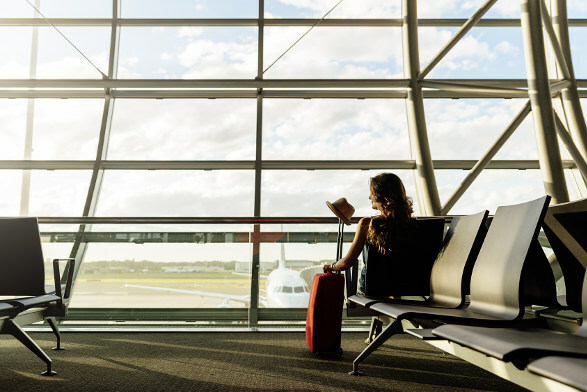 Transport options to get you from the airport to your destination include: car hire, hotel shuttles, local bus, metered taxis, shuttle vans, train, and Uber.